Back in Memphis, TN, the AAC tournament left us with some head scratchers and hope. The Bearcats though took care of business and found themselves in the championship for a third matchup of the year against Houston. Here’s your recap from the weekend. Quarterfinals. Reigning American Athletic Conference Player of the Year Jarron Cumberland played like just that. He took over late in the game capped off with drawing two and ones as time was expiring on the Mustangs. Cumberland finished with 26 points and 8 assists. SMU dared Trevon Scott to beat them leaving the high post wide open most of the second half. Scott punished them with a silky smooth jumper time and time again. He finished with 17 points and 12 rebounds. Senior Justin Jenifer isn’t finished yet either. He chipped in with 17 points of his own highlighted by going 5-5 from deep in the first half. The Bearcats tracked down what seemed to be every 50-50 ball and got back to the way of the Bearcat. 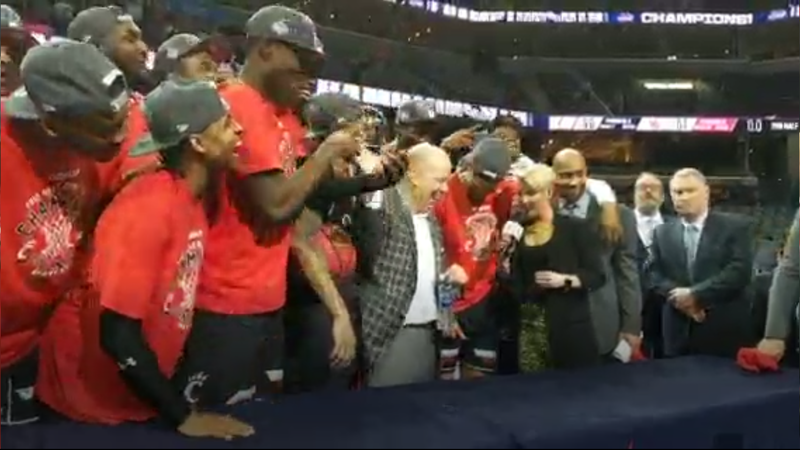 What did the Bearcats get for finding their way? A date with Wichita St in the semifinals after the Shockers shook off the bubble rising Temple Owls. Semifinals. Gregg Marshall had never been beaten 3 times by the same opponent in the same season at Wichita St. until now. The Bearcats trenched through a hard fought game and found themselves in the Finals. Cumberland struggled from the field and ended the game with 11 points. Nas had a monster game and led the Cats with 13 points and 9 boards. The Bearcats found themselves up 10 late in the second but as you could have guessed found themselves tied with just seconds to go. The Shockers were thinking upset city. Cane Broome thought not today and laid in a bucket with 23 seconds left give the Bearcats the led for good. Finals. Houston and Cincinnati the trilogy. That’s bad man Mr. POY himself went off. Teddy finished with 33 points and 8 rebounds. Cane Broome played like a man with something to prove dropping 15 of his own. Trevon Scott chopped with with 12 and 8. 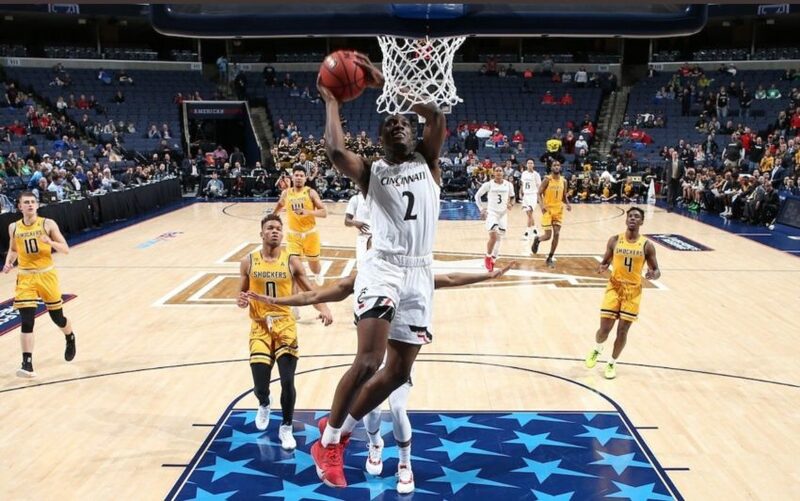 The Bearcats’ defensive intensity was relentless holding Houston’s star and non AAC POY Davis Jr to 12 points on 3-13 shooting, a far cry from his 31 he threw up in Clifton a week ago. This game was a slugfest and a classic battle between two heavyweights of the conference but the Bearcats finally proved to be too much for the Cougars. 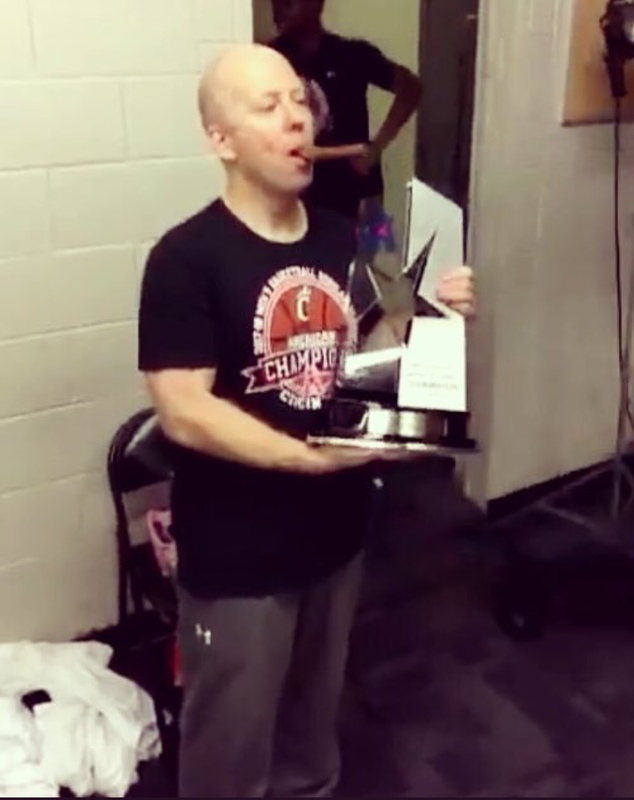 The Cincinnati Bearcats are back to back American Athletic Conference Tournament Champions! The Big Dance. The Bearcats anxiously awaited their seeding after the big win. Unfortunately the committee had already found a verdict on he Bearcats. What resulted is a 7 seed for the Bearcats and a matchup against the Iowa Hawkeyes in Columbus and a potential match up with the 2 seeded Tennessee. Obviously, the 7 seed is disrespectful. 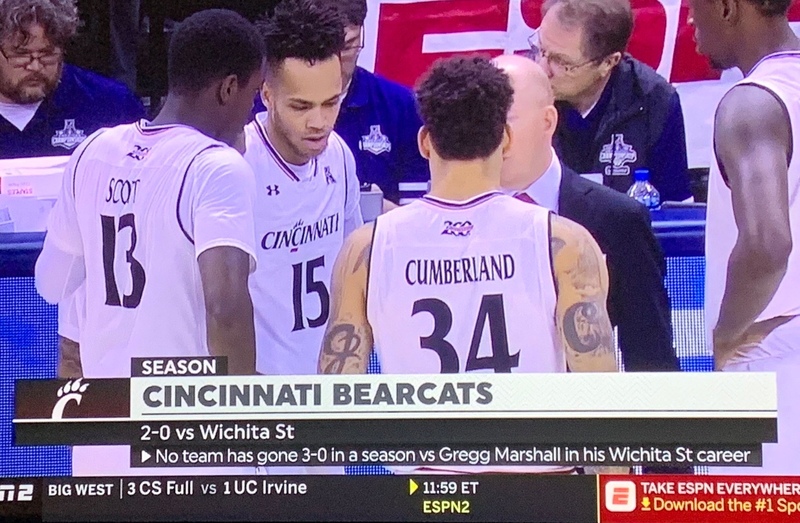 The Bearcats in my opinion were a 5 seed. Houston got a 3 seed. There isn’t a that big of a gap between the two teams. For the committee though last week’s match up was the X factor. With the first weekend so close to home though you’d have to think a home like environment would benefit the Bearcats.